How much does internal procurement actually cost a company? To answer this, a company would have to first review the cost of the individual employee(s). Wages, Optional Benefits (paid vacation, insurance, etc. ), Required Benefits (FICA, FUTA, State UI, Workers Comp, etc. ), and Expenses (phone, office, etc). Then a company would need to review the cost of having multiple suppliers for materials. Areas of review to include: multiple shipments received, increased warehouse labor, an increase in the number of skus managed, and an increase in AP activity. So does the cost outweigh the savings that internal procurement provides to the company? When evaluating costs of internal procurement individuals/teams in regards to the purchase of packaging materials, outsourcing this role must be considered. All of the above costs are transferred to the Procurement Outsourcing Company. In addition, warehousing costs are reduced and cash can be redirected to capital improvements and operations. Remove the procurement function from an internal individual/team and outsource it to an experienced team of individuals whose sole source competency is the purchasing and management of packaging materials. We ask our clients to review the economics of their situation, rather than the status quo. The economics are compelling and will assist to determine the benefits received by outsourcing the procurement function of packaging. So your company needs to provide Retail Ready Packaging for your customers, the Retail Distributors; Wal-Mart, Costco, HEB, etc. Easy enough, right? Maybe the RRP requires a header! Is it a litho laminated header or a digitally printed header? They may need to find a supplier for both. Find multiple, dependable suppliers for your cartons or film/pouches, boxes, tray, printed boxes, and headers. At least TWELVE total! Cross-reference multiple Bills of Lading against multiple Invoice received from multiple Suppliers for each component, and adjust of confirm accordingly. More than likely your buyer has purchased a 60 day inventory of product because it made sense from a price standpoint and preparedness to better serve your customers requirements. for product that your company has not even used! Now that all these steps have been broken down, you can see clear costs added to the purchasing of packaging material for Retail Ready Packaging, and everyday packaging for that matter. This is real time and real money that your company will not see a return on! Pay invoices within terms for only product received; so your terms for complete payment of all components would be extended from 30 days to 90 days. REDUCE THE TIME AND MONEY SPENT INTERNALLY AT YOUR COMPANY BY AT LEAST 75%! When choosing a Packaging Distributor it is wise to visit their location, meet their key people, confirm they have a clean warehouse, their own trucks and drivers, online inventory access, and satisfied customers. And when someone tells you that it is cheaper to cut out the middle man and go direct, remember that your internal time and money will increase by 75%. Also remember that if you are negotiating with suppliers for the best cost with only $1 million in packaging, the Packaging Distributor will be negotiating with their suppliers with at least 5 to 10 times that value. This is a benefit that will show in your direct cost of product, in addition to the reduction of your indirect costs of purchasing and managing your packaging materials for Retail Ready Packaging and your everyday requirements. The reduction in costs of raw materials is a common issue in localized purchasing departments. Since 2008 the prices for raw-materials have been rising and reducing margins, so the natural response for a purchasing agent was to demand a lower price from their supplier and execute a RFQ for all materials. At the very first glance, demanding that your price be lowered when raw material costs are increasing is a foolish strategy. There was a time that our country’s manufacturing segment looked to Japan for answers in process strategy. What we found was that cost cutting involves reducing administrative costs and increasing efficiencies on the production floor and throughout the supply chain. It was also advised that the first response to rising material costs is through Standardization and BOM reduction, Shared parts and platform concepts, and Maximum yield by reducing variability and defect rate; which is much different, and easier, than squeezing blood from a rock. We were told that the objective of Lean Manufacturing is to “produce high quality products as efficiently and economically as possible while being highly responsive to the customers demand”. This is achieved through less human effort, less inventory, less space, and less time. Add Six Sigma strategy of process focus and data driven decisions to the equation and your company is on its way to an increase in throughput, a reduction in inventory, and finally a reduction in operating expenses. Many companies, small to midsized ($5mm to $200mm), can implement these objectives by empowering a Procurement Outsourcing and Distribution Group to manage key raw materials. My company has successfully controlled our client’s costs for packaging materials without compromising quality, service, or availability. We have increased the value of these components by researching and understanding the constraints of our clients and as well as each manufacturer throughout our vast network of suppliers. We look at the “Big Picture” and understand there is a role to be filled so our clients can “produce high-quality products as efficiently and economically as possible” while being highly responsive to their customers demand. Procurement Outsourcing; “The Next Great Thing” … again. Savings continue to be made and realized on bottom lines at leading companies through the utilization of Third Party Services. There was a time when Procurement Outsourcing was regarded with much distrust by a lot of companies and CPO’s felt that outsourcing prevented the function for acting in a more strategic way. Now procurement organizations at leading companies are increasingly convinced that there is a way to make outsourcing work for them. Procurement Outsourcing is a value-added, strategic sourcing of materials. When considering outsourcing, companies need to think differently about what procurement is and how it should be used. The procurement outsourcing group will work with the client supply chain team to develop successful strategies that align with the client company’s objectives. This partnership improves the performance of the chains operations, as well as cost efficiencies. The client company then has a greater opportunity to focus on business growth. Packaging is an area where procurement felt it could use outsourcing to take out cost. However, there is no “one-size fits all” approach. This is where distribution comes into play. Packaging Distributors are a great option for procurement outsourcing, especially for smaller business under $200mm in sales. As an extension of their client’s in-house procurement and their client’s warehouse, packaging distributors provide the scope, scale, and expertise of the packaging supply chain to the clients operations. Is a Packaging Distributor right for your company as your outsource of packaging? If it can help achieve savings, perhaps there is no reason why it should not be embraced. Flexible Packaging: Your company buys 10,000 pounds of a 2mil Do laminated film per month at a price of $3.00 per pound from a current. Buyer finds a new vendor that sells this film for $0.50 per pound less. Will the new vendor supply a film that is thicker, thinner, or the same? Depending on your answer, will your company pay less, more, or the same for the film? Eco-Message FAIL. Who’s to blame? 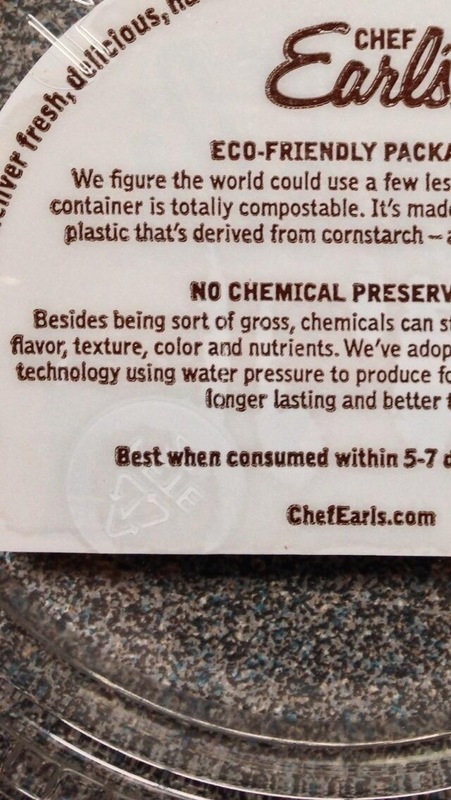 Have you educated your buyers on eco-messaging on your company’s packaging? Bag in Box? … get rid of it! I’m reposting this article in light of a recent initiative by the folks at Malt-O-Meal; @MaltOMeal . Here is a link to their Bag the Box initiative: http://bagthebox.com/ . Read on for an additional perspective yielding the same great results. We all see it everyday in the grocery aisle; a box with a bag of food inside. The box (folding carton, chip board carton) of course serves as a “great billboard to market the product to the consumer”. However it just doesn’t make sense anymore. The flexographic printing capabilities for film have come a long way. Printed film creates a great looking package and it is very functional in bringing product to the consumer. Printed film diminshes the need for the the wasteful carton; an obvious benefit to the consumer. And at a huge cost savings to the manufacturer/copacker! How? … Simple. Cost of Printed Film per Package vs. Cost of Plain Film and Printed Carton – Printed Film wins hands down as the low cost alternative! Cost of operating Vertical or Horizontal Form/Fill and Conveyor (Printed Film) vs. Cost of operating Vertical or Horizontal Form Fill, Conveyeo, Cartoner, and Conveyor (Plain Film and Carton) – Printed Film wins again as the low cost alternative! Cost of Labor (# of employees required) for Vertical or Horizontal Form/Fill and Conveyor (Printed Film) vs. Cost of Labor (# of employees required) Vertical or Horizontal Form Fill, Conveyeo, Cartoner, and Conveyor (Plain Film and Carton) – Printed Film wins yet again as the low cost alternative! Continue to look at the cost of corrugated shippers: Printed Film/Bags would reduce the size of the shipper required. – WIN! Smaller corrugated shipper would equate to increased case count per pallet. – WIN! Increased case count per pallet equates to more product per truckload. – WIN! This is just scracthing the surface folks and we are close to removing $0.10 from the per package cost. At 1 million packages run, that is a savings of $100,000.00! Who wants to walk away from that and why? Many companies are replacing their metal and plastic cans with a more environmentally responsible paperboard composite can. These cans are made with 100% recycled paperboard spiral wound into a strong high performance container; a high barrier liner is added for some products, as well as a fresh seal membrane top or a plastic re-closable top. Paperboard composite cans are food safe and provide excellent barrier properties to keep the food fresh. A smooth surface provides an excellent area for high quality graphics. A printed paper label is applied as the can is produced or when the can is filled. Composite Cans made with paperboard require less energy to manufacture than metal cans and the paperboard makes up the majority of the containers weight. Many sizes can be produced without the requirement of additional tooling and dies. Also many different skus can be produced within a run with a simple label changeover. Most importantly, paperboard composite cans are a lower cost packaging option. Your company will save money by switching over to paperboard composite cans. If your company already packages their products in paperboard composite cans you need to know that there are other suppliers out here besides the giant you may be purchasing from. I have had much success in transitioning companies from being dependent on the giant manufacturer to becoming a partner with companies like mine; resulting in more choice and lower costs.